A radical break from traditional cancer treatment, HERB’s TrueBeam Linear Accelerator system offers image-guided radiotherapy, an innovation that offers lower doses of radiation to patients with breast, prostate, head and neck, gastrointestinal, brain, lung and gynecological tumors. More than 300 cancer patients have been treated with the system since July 2017. 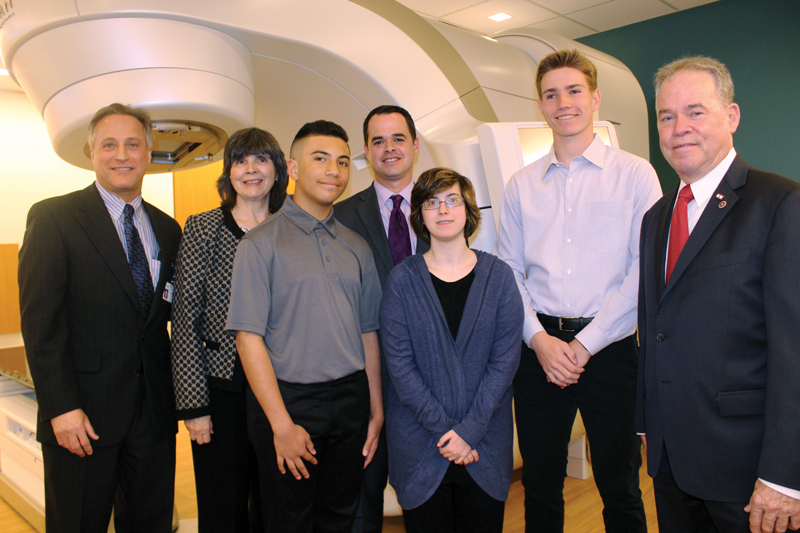 Pictured: (From left) Richard Evans, MD, Vice President of Surgical Services and Mary Leahy, MD, CEO, Bon Secours Charity Health System/Good Samaritan Hospital; Anthony Besmer; State Sen. David Carlucci; Christina Tenore; Gerrit Stech; and Rockland County Executive Ed Day.